Rolff’s playing, along with a deep knowledge of the tradition mixed with a personal taste for composition, became a landmark for many jazz lovers across Italy. In over 15 years of music career, Massimiliano Rolff toured extensively Europe and U.S. alongside with some of the world’s finest jazz musicians, and released 7 albums as leader and more than 20 as sideman and co-leader. Based in Genoa, in the ‘Italian Riviera’, is today leading and performing his own music, with several bands across Italy and Europe. Massimiliano (born June 1973) starts playing music as self taught guitarist at the age of 12. At the age of 16 he’s already performing across Italy as young bass player with different pop-rock bands. In his house, Massimiliano has the chance to be exposed to many different listening experiences: from rock to jazz to classical music, he’s in love with british rock and new wave music. He’s 16 years old, when he has the luck to attend a concert of Miles Davis (Amandla Tour), this event will change his life. At the age of 20, he finally decides to dedicate his life to music, and moves to Holland, looking for a more international environment. In 1999 he graduates at the Jazz Conservatory of Groningen (Holland) in Electric Bass and Music Pedagogy. After few months, thanks to a scolarship of the Dutch government he also follows a master at the Bass Collective in New York City with John Pattitucci and Lincoln Goines. In the year 2000 he settle back in the sun, in Genoa, Italy. After some years of professional side-work with national italian pop acts, in 2004 he buys his first double-bass. His music life will change, again. As freelance double bass player in the past years he has performed in some of the most important clubs,festivals, teathers and tv show of Italy, Holland, France, Austria, Spain, Switzerland, Germany, Bulgaria, Israel, Turkey, China, Japan, Hong Kong and USA with Steve Grossman, Scott Hamilton, Eliot Zigmund, Perico Sambeat, Jesse Davis, Dave Schnitter, Phil Woods, Peter King, Garrison Fewell, Herb Geller, Rachel Gould, Eric Legnini, Danny Grissett, Sangoma Everett, Andrea Dulbecco, Andy Gravish, Dado Moroni, Flavio Boltro, Paolo Damiani, Gabriele Mirabassi, Luca Begonia, Marco Tamburini, Gianpaolo Casati, Carlo Atti, Andrea Pozza, François Chassagnite, Claudio Chiara, Luca Santaniello, Karen Edwards, Johannes Faber, Emanuele Cisi, Enzo Zirilli, Jasper van’t Hof, Alessio Menconi and many others great musicians. In 2010 he graduates with a master degree in Jazz Music at the Conservatory “N. Paganini” in Genova (Italy). In 2003 he has released with the band Oleo the album “Next Beat” for Scenario Music, with a worldwide distribution, followed by many other compilations in 5 continents. In 2006 Rolff released his first jazz album as bassist, composer and leader “Unit Five” (Music Center/IRD). In 2009 he released is new album as composer and bassist:”Naked” for Effemusic, with a band of national jazz-stars (Cisi/Pozza/Zirilli). Both records won the 1st price as “Best Album Jazz LightHouse” in 2006 and 2009, and got a great following of critics and audience. In 2012 Rolff released “More Music”, second album of original composition with the band “Unit Five”. In 2016, Rolff releases for BlueArt his first concept-album “Italian Life in Contemporary Time”, finding a new personal sound with a string quartet, clarinet, double-bass and percussions. The music of Italian Life, which is mainly written and not improvised, is part of the show “Italian Life in Contemporrary Time” for images and dance. In 2016 the Italian national magazine “JazzIt” releases the album “Jazz Sharing” where Rolff performs 11 duos with 11 different musicians of the new italian jazz scene. In 2017 BlueArt releases the album “Cubiculum” a brilliant collaboration between Rolff and spanish trumpet player David Pastor. In spring 2018 Rolff releases his first book “Jazz Collection” with 35 music scores of original compositions. In the fall 2018 Rolff releases his seventh album as leader and composer “Home Feeling” that features Rolff’s new compositions in a special blend of jazz and afro-cuban music. 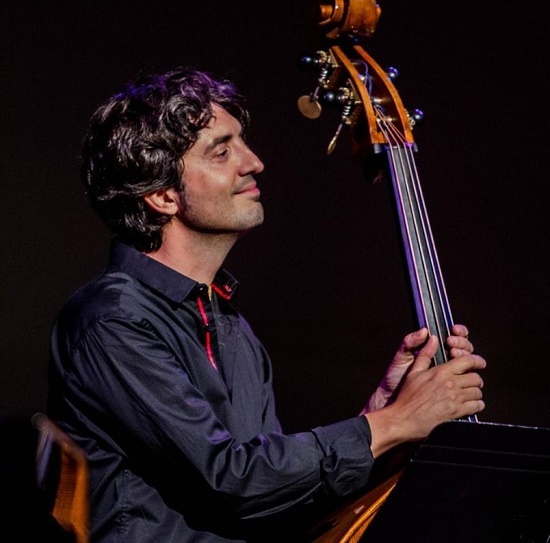 Since 2008, he’s founder and musical director of the Count Basie Jazz Club in Genoa, Italy, and since 2015 he teaches electric bass at the Conservatory “G.Puccini” in La Spezia and in 2017 at “Nino Rota” Conservatory in Monopoly (BA).